ABU DHABI, UAE – April 4, 2018 – Agility, a leading global logistics provider, received the Silver Award for business excellence at the Sheikh Khalifa Excellence Award (SKEA), held under the patronage of His Highness Sheikh Mohammed bin Zayed Al Nahyan, Crown Prince of Abu Dhabi and Deputy Supreme Commander of the UAE Armed Forces. 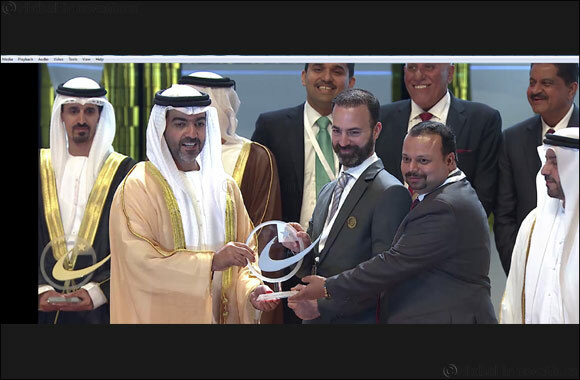 The award was presented to Agility at a ceremony held at the Emirates Palace, Abu Dhabi. Agility Abu Dhabi was recognized for its excellence in quality and innovative offerings to its logistics customers. Agility has adapted world-class practices based on the European Foundation of Quality Management (EFQM) model that promotes business excellence and facilitates continuous improvement. Present at the ceremony were His Highness Sheikh Hamed bin Zayed Al Nahyan, Chairman of Abu Dhabi Crown Prince's Court and member of the Executive Council, and other senior officials.